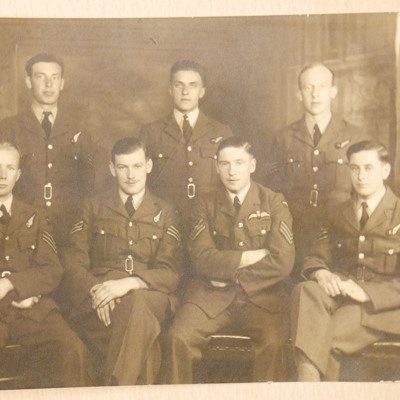 Six RAF personnel, four of them corporals, head and shoulders or upper torso, in two rows all with wireless flash. Four tall aerials, two wooden huts, one protected by blast walls, in a open field. 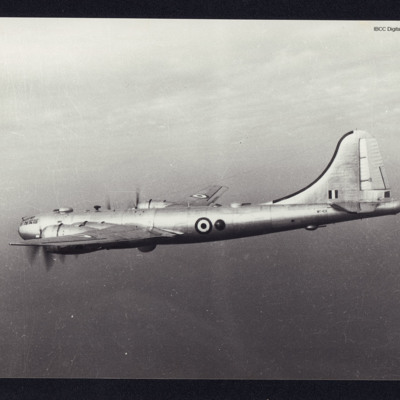 Air-to-air view of B-29 WF491 in flight, taken on the same level from behind the port wing. 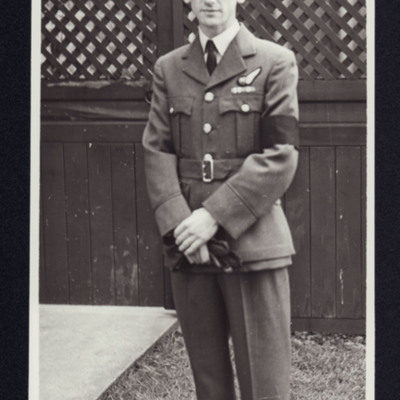 Full length portrait of Jeff Brown in Flying Officers dress uniform, with black armband, showing medal ribbon strip, and air gunner's half brevet. He is wearing his cap. 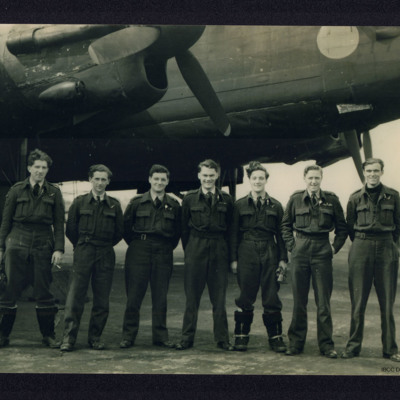 255 airmen posed in five ranks in front of a Lancaster. 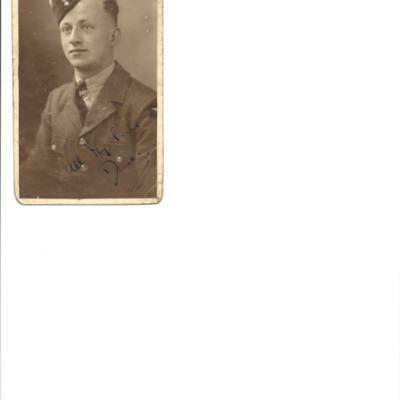 Half length portrait of Jeff Brown in uniform with trainee flash in his cap, stood in a green area. 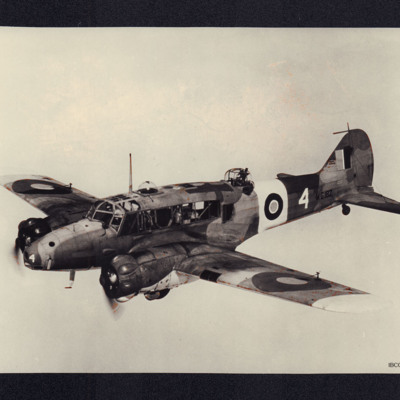 Air-to-air view of Anson 1 MG182 in flight. 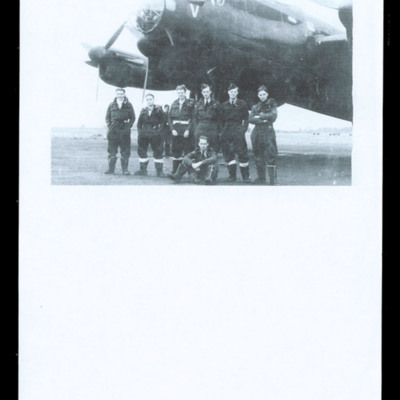 It is in camouflage, and has number '4' on the fuselage and nose. 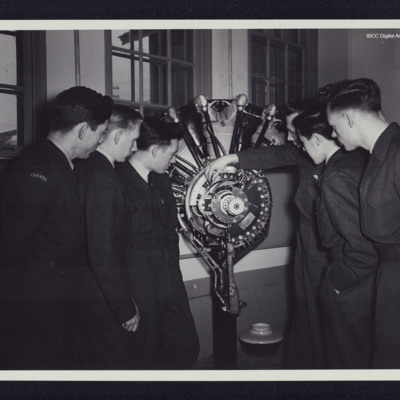 Five airman are watching another handling a floor-mounted, cut-away section of a rotary engine in an interior setting. 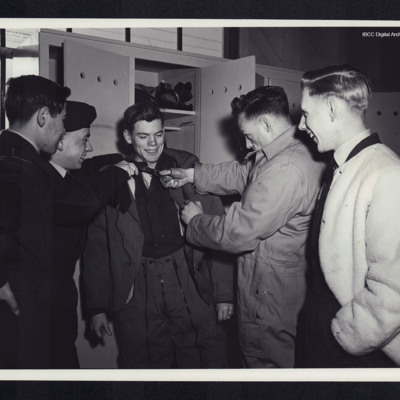 Two of the airmen have 'Canada' shoulder flashes. 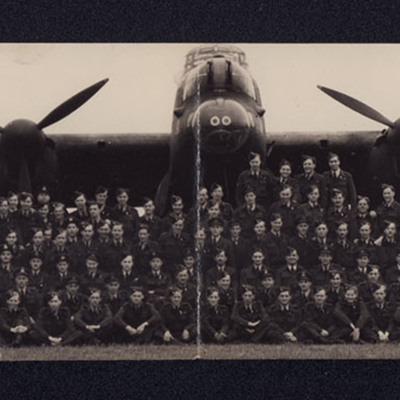 53 trainee airmen, and two instructors. 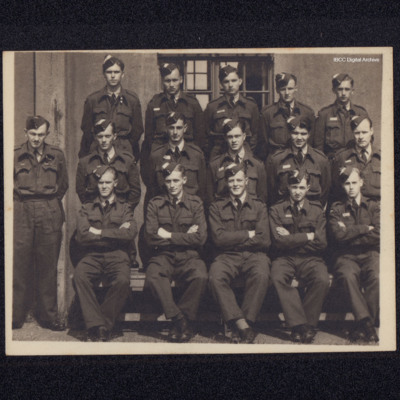 15 trainee airmen, in uniform with trainee cap flashes, posed in three ranks, with one older uniformed airman standing apart, to their right. 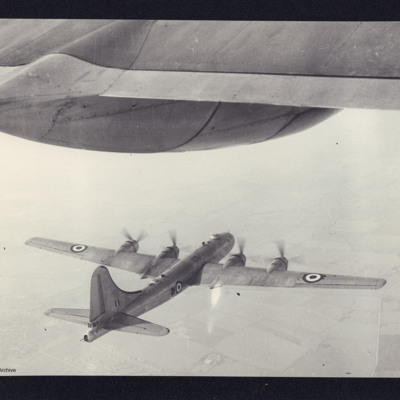 Wellington bomber on the ground, with wheels chocked, and bomb bay doors open. Letters O and KJ appear on the fuselage. 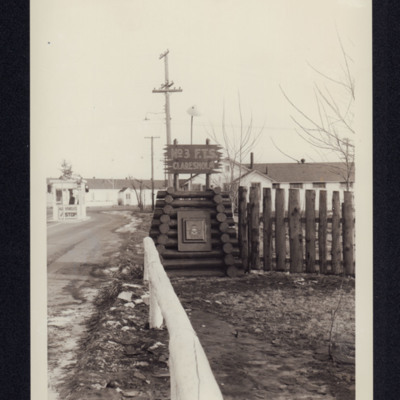 Visible in the background is a control tower with a truck in front. 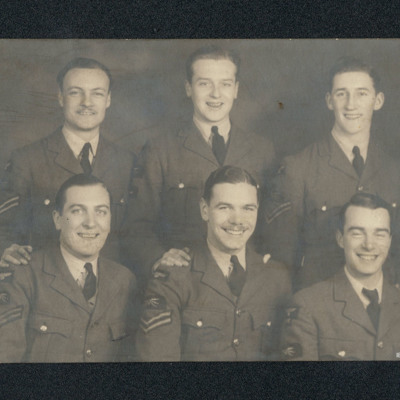 A group of seven airmen arranged in two rows, the front row seated, the back standing. Sergeant Joseph Wilson is front row, far left. 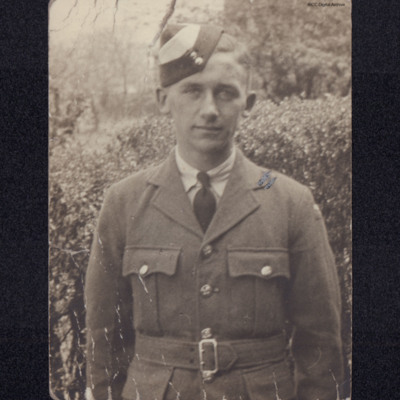 A half-length portrait of David Storey whilst training. He is wearing a side cap with a white flash. Handwritten is 'All my love, Dave'. Five airmen wearing greatcoats and caps standing with a horse. David Joseph is on the right.